Bridgette Modise is CEO of Kutira Capital. Previously, she was a partner at accounting and advisory firm KPMG. After completing her articles with KPMG in 1995, she joined ABSA as a financial accountant and later joined the black accounting firm KMMT. She returned to KPMG when KMMT merged with KPMG in 2002. Bridgette is a chartered accountant and a graduate of the Chartered Institute of Management Accountants. 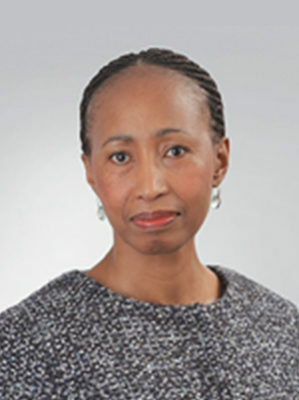 She is a member of the Association for Advancement of Black Accountants (ABASA), the South African Institute of Chartered Accountants (SAICA), and the African Women Chartered Accountants Forum (AWCA). Her hobbies include travelling, gym, golf and reading. She is a Fellow of the third class of the Africa Leadership Initiative-South Africa and a member of the Aspen Global Leadership Network.